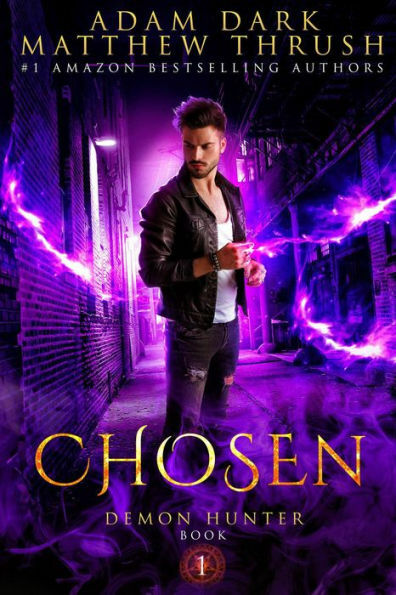 *Chosen (Demon Hunter, #1) (Paranormal Fantasy Deal of the Day, Sponsor, Voices in Ben’s head come back just in time for him to face a new demon, in a new city, with a new hunger for dead bodies) by Adam Dark, Matthew Thrush. Price: $0.99. Genre: Paranormal Fantasy Deal of the Day, Sponsor, Voices in Ben’s head come back just in time for him to face a new demon, in a new city, with a new hunger for dead bodies. Rated: 4 stars on 1 Reviews. 247 pages. ASIN: B07MS5NDW2. 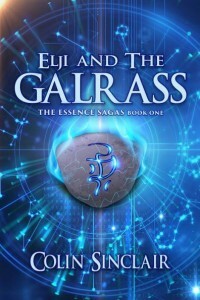 *Elji and the Galrass (Science Fiction Deal of the Day, Sponsor, Metaphysical & Visionary) by Colin Sinclair. Price: $3.99. Genre: Science Fiction Deal of the Day, Sponsor, Metaphysical & Visionary. Rated 4 stars on 2 review. 197 pages. Paperback version! ASIN: B07DZJ6LRZ. 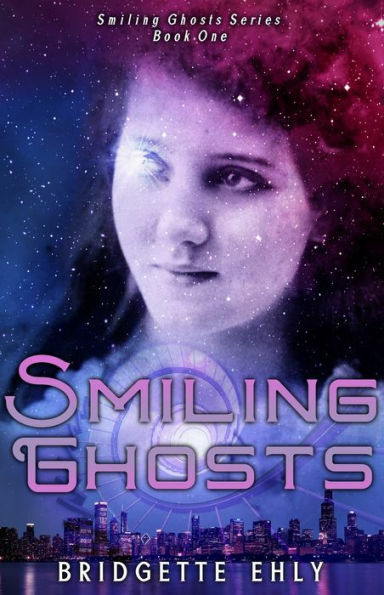 *Smiling Ghosts (Science Fiction Deal of the Day, Sponsor, The world is not what it seems, Neither is Miranda’s new boyfriend, Second apocalyptic death) by Bridgette Ehly. Price: $0.99. Genre: Science Fiction Deal of the Day, Sponsor, The world is not what it seems, Neither is Miranda’s new boyfriend, Second apocalyptic death. Rated: 5 stars on 6 Reviews. 365 pages. ASIN: B07HNFKV7S. *The McCabe Brothers: The Complete Collection (Dark Romance Box Set Deal of the Day, Sponsor, 5 Book Box Set, NY Times Bestselling Author, He’s a Successful billionaire contractor, A man every woman wants, but he gives his heart to no one) by Lorhainne Eckhart. Price: $0.99. Genre: Dark Romance Box Set Deal of the Day, Sponsor, 5 Book Box Set, NY Times Bestselling Author, He’s a Successful billionaire contractor, A man every woman wants, but he gives his heart to no one. Rated: 4.8 stars on 17 Reviews. 829 pages. ASIN: B07257SBV4. *Witness Of Love: “When Loyalty Kills” (Paperback) (Urban Romance Deal of the Day, Sponsor, He is set up by the FBI, misled into choosing between family and friends) by Ms. Sylvia W. Allen. Price: $35.00. Genre: Urban Romance Deal of the Day, Sponsor, He is set up by the FBI, misled into choosing between family and friends. Rated 4.8 stars on 10 review. 303 pages. ASIN: B07NXQX2KB. *If She Were Blind (The After Twelve Series Book 1) (Steamy Thriller of the Day, Sponsor, RWA Finalist) by Laney Wylde. Price: $0. Genre: Steamy Thriller of the Day, Sponsor, RWA Finalist. Rated: 4.6 stars on 33 Reviews. 173 pages. Paperback version! ASIN: B07FY82KDJ. ***Cold Lonely Courage: Novel war (ENC.ROMANS) (Historical Thriller Deal of the Day, Sponsor, An absolutely gripping and brilliant recapture of the darkest realities of World War II) by Soren Paul Petrek. Price: $7.49. Genre: Historical Thriller Deal of the Day, Sponsor, An absolutely gripping and brilliant recapture of the darkest realities of World War II. Rated: 4.4 stars on 326 Reviews. 364 pages. ASIN: B07MTML6CJ. *Darkness in Malaga (International Mystery & Crime Deal of the Day, Sponsor, Weaves a hypnotic spell of mystery, suspense and pure escapism) by Paul S Bradley. Price: $4.99. Genre: International Mystery & Crime Deal of the Day, Sponsor, Weaves a hypnotic spell of mystery, suspense and pure escapism. Rated: 5 stars on 2 Reviews. 324 pages. Paperback version! ASIN: B07932Y6M4. *The Unholy: A Novel (Occult Horror Deal of the Day, Sponsor) by Paul DeBlassie III. Price: $4.99. Genre: Occult Horror Deal of the Day, Sponsor. Rated: 4 stars on 88 Reviews. 299 pages. ASIN: B07BL2JQSB. *Wild Hearts: The Coming Night (Science Fiction Deal of the Day, Sponsor, Space Opera, Alien Invasion) by Andrew Wichland. Price: $2.99. Genre: Science Fiction Deal of the Day, Sponsor, Space Opera, Alien Invasion. Rated 4.5 stars on 6 review. 145 pages. Paperback version! ASIN: B07F43CY3F. *Shadow Life (Science Fiction Deal of the Day, Sponsor, Excellent Book, A real page turner) by Jason Mather. Price: $1.99. Genre: Science Fiction Deal of the Day, Sponsor, Excellent Book, A real page turner. Rated: 4.5 stars on 21 Reviews. 306 pages. Paperback version! ASIN: B077BWJ3RS. *The Seer, Chapters 1-9 (The Other Side of Red, #1) (Fantasy of the Day, Sponsor, As a baby, she was hidden from those who knew her, She grew up with a power no one believed in) by A. R. Curtis. Price: $0. Genre: Fantasy of the Day, Sponsor, As a baby, she was hidden from those who knew her, She grew up with a power no one believed in. Rated: 4.5 stars on 5 Reviews. 411 pages. ASIN: B07KFRDF91. *Another Day, Book 1 (Delta Flight) (Science Fiction Deal of the Day, Sponsor, Raucous alarm signaling an imminent attack, Nuclear missiles are flying, Alien AI, Can Delta Flight survive, Will they ever find their way home) by Terry A Perrine, Brian Paone. Price: $3.99. Genre: Science Fiction Deal of the Day, Sponsor, Raucous alarm signaling an imminent attack, Nuclear missiles are flying, Alien AI, Can Delta Flight survive, Will they ever find their way home. Rated: 5 stars on 1 Reviews. 211 pages. Paperback version! ASIN: B07PJ57S19. **A Darker Shade of Sorcery (The Realmers Series, #1) (Fantasy of the Day, Sponsor, Dark Fantasy, A Wizard, Spy and Demon Hunter rolled into One) by William Collins. Price: $0. Genre: Horror of the Day, Sponsor, Dark Fantasy, A Wizard, Spy and Demon Hunter rolled into One. Rated: 4 stars on 93 Reviews. 410 pages. ASIN: B01A3L1PS6. *Dragon Knight Chronicles: The Awakening (YA Science Fiction and Fantasy Deal of the Day, Sponsor, If you like Lord of the Rings) by Andrew Wichland. Price: $2.99. Genre: YA Science Fiction and Fantasy Deal of the Day, Sponsor, If you like Lord of the Rings. Rated 4.3 stars on 17 review. 122 pages. Paperback version! ASIN: B01GAFBQGA. 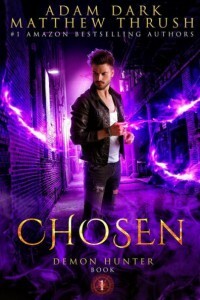 *Forgotten By the Sun (YA Fantasy Deal of the Day, Sponsor, A very good novel, If you want to appeal to all your personalities) by Celeste Eismann. Price: $0.99. Genre: YA Fantasy Deal of the Day, Sponsor, A very good novel, If you want to appeal to all your personalities. Rated: 4 stars on 5 Reviews. ASIN: B07MZ5VSDK. *Pippin and the River of Wonders: A Voice for Wildlife (Children’s Books Deal of the Day, Sponsor, Animals and protecting Wildlife, Adventure for Children) by DVM Stacey Gerhart. Price: $4.49. Genre: Children’s Books Deal of the Day, Sponsor, Animals and protecting Wildlife, Adventure for Children. Rated 5 stars on 12 review. 103 pages. ASIN: B07NDLXWFH. *Jabulani (Childrens Picture Books by Age 6-8 Christian Child) (Children’s Book Deal of the Day, Sponsor, Enlightening and Informative, Understand Other Cultures) by Jonathan J Stotler, Beth Restrick. Price: $3.99. Genre: Children’s Book Deal of the Day, Sponsor, Enlightening and Informative, Understand Other Cultures. Rated: 4.8 stars on 10 Reviews. 32 pages. ASIN: B07965GC9N. *Lumen and the Thistle (Fiction of the Day, Sponsor, Fable, A Journey, A Good Read with a great message) by EJ Wozniak. Price: $0. Genre: Fiction of the Day, Sponsor, Fable, A Journey, A Good Read with a great message. Rated: 4.9 stars on 19 Reviews. 249 pages. ASIN: B07LDHM4QL. *Hitherto & Thitherto (Literary Fiction Deal of the Day, Sponsor, A young woman who hoped to live the years of America at its height, instead witnesses its demise) by OZAIR SIDDIQUI. Price: $9.00. Genre: Literary Fiction Deal of the Day, Sponsor, A young woman who hoped to live the years of America at its height, instead witnesses its demise. Rated 5 stars on 1 review. 204 pages. ASIN: B073N9FNGB. *Live True: A Mindfulness Guide to Authenticity (Nonfiction Deal of the Day, Sponsor, Effective Mindful Behavior, Connect with your True Nature, Understand what it means to live authentically and in the present moment) by Ora Nadrich, PhD Ronald A. Alexander (Foreword by). Price: $17.95. Genre: Nonfiction Deal of the Day, Sponsor, Effective Mindful Behavior, Connect with your True Nature, Understand what it means to live authentically and in the present moment. Rated 5 stars on 47 review. ISBN: 0578432102. *Nacer con estigma, vivir con alegría (Non Fiction in Spanish Deal of the Day, Sponsor, Self Help and Success Guide, Vivir Con Alegria) by Bernardo García. Price: $15.99. Genre: Non Fiction in Spanish Deal of the Day, Sponsor, Self Help and Success Guide, Vivir Con Alegria. Rated 5 stars on 1 review. 185 pages. ASIN: B07NF3V7Q6. *Emotional Dimensions of Healthcare (Nonfiction Deal of the Day, Sponsor, Health and Wellness, Health Policy, A brilliant prescription for what healthcare must be in the 21st century) by David Woodlock. Price: $3.99. Genre: Nonfiction Deal of the Day, Sponsor, Health and Wellness, Health Policy, A brilliant prescription for what healthcare must be in the 21st century. Rated 5 stars on 1 review. 254 pages. Paperback version! ASIN: B072397JM4. *Departure From Indifference: Probing the Framework of Reality (Non Fiction Deal of the Day, Sponsor, How to Better Understand Reality, The Process to understanding the Purpose of Our Being) by Octavio A. Melo. Price: $2.99. Genre: Non Fiction Deal of the Day, Sponsor, How to Better Understand Reality, The Process to understanding the Purpose of Our Being. Rated: 5 stars on 1 Reviews. 84 pages. ASIN: B07P6MQQNW. *Leadsology: Marketing The Invisible (Nonfiction Deal of the Day, Sponsor, Marketing and Sales, How to Generate Leads via Inbound Marketing, 10 marketing methods you should avoid, And simple formulas you should follow) by Tom Poland. Price: $9.99. Genre: Nonfiction Deal of the Day, Sponsor, Marketing and Sales, How to Generate Leads via Inbound Marketing, 10 marketing methods you should avoid, And simple formulas you should follow. Rated: 5 stars on 2 Reviews. 330 pages. ASIN: B07H4CQLW6. *I Was a Teenage JFK Conspiracy Freak (Nonfiction Deal of the Day, Sponsor, As a young man Litwin believed a conspiracy killed JFK, and then he grew, and he studied and he researched came up with the case for a lone assassin) by Fred Litwin. Price: $2.99. Genre: Nonfiction Deal of the Day, Sponsor, As a young man Litwin believed a conspiracy killed JFK, and then he grew, and he studied and he researched came up with the case for a lone assassin. Rated: 4 stars on 14 Reviews. 274 pages. ASIN: B07HBS6QY4. *The Soulful Leader: Success with Authenticity, Integrity and Empathy (Nonfiction Deal of the Day, Sponsor, Provides the essence of how and why there are effective leaders, Subtle changes we could practice that would not only improve the workplace but the world) by Arthur P. Ciaramicoli. Price: $8.99. Genre: Nonfiction Deal of the Day, Sponsor, Provides the essence of how and why there are effective leaders, Subtle changes we could practice that would not only improve the workplace but the world. Rated: 4 stars on 5 Reviews. 131 pages. ASIN: B07N8YG5J1. *Christianity A Successful Failure: Finding Faith in an Age of Fear and Falsehood (Non Fiction Deal of the Day, Sponsor, An Expose on Christianity, How many Christian beliefs and practices have nothing to do with the real historical Jesus of Nazareth) by Timothy M Spiess. Price: $4.49. Genre: Non Fiction Deal of the Day, Sponsor, An Expose on Christianity, How many Christian beliefs and practices have nothing to do with the real historical Jesus of Nazareth. Rated 4 stars on 2 review. 651 pages. ASIN: B07H74SRLN.